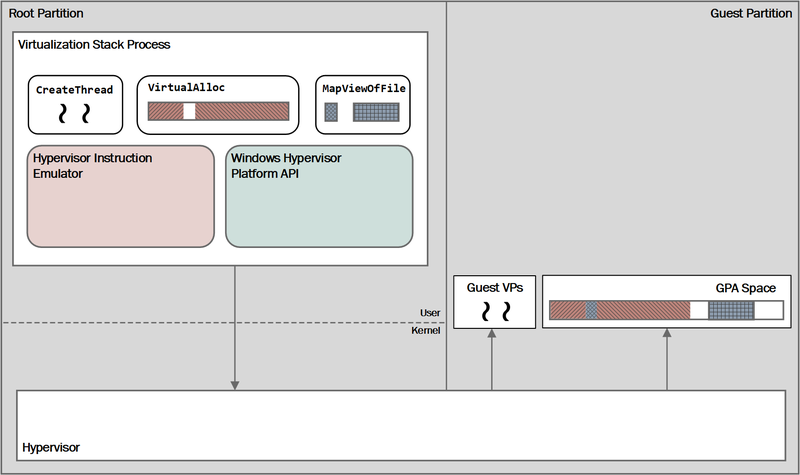 The Windows Hypervisor Platform adds an extended user-mode API for third-party virtualization stacks and applications to create and manage partitions at the hypervisor level, configure memory mappings for the partition, and create and control execution of virtual processors. Ex: A client such as QEMU can run on the hypervisor while maintaining its management, configuration, guest/host protocols and guest supported drivers. All while running alongside a Hyper-V managed partition with no overlap. The following diagram provides a high-level overview of the third-party architecture.